Scientists from the University of Cambridge have demonstrated that an abrupt weakening of the summer monsoon affected northwest India 4,100 years ago. The resulting drought coincided with the beginning of the decline of the metropolis-building Indus Civilisation, which spanned present-day Pakistan and India, suggesting that climate change could be why many of the major cities of the civilisation were abandoned. The research involved the collection of snail shells preserved in the sediments of an ancient lake bed. By analysing the oxygen isotopes in the shells, the scientists were able to tell how much rain fell in the lake where the snails lived thousands of years ago. The results shed light on a mystery surrounding why the major cities of the Indus Civilisation (also known as the Harappan Civilisation, after Harappa, one of the five cities) were abandoned. Climate change had been suggested as a possible reason for this transformation before but, until now, there has been no direct evidence for climate change in the region where Indus settlements were located. Moreover, the finding now links the decline of the Indus cities to a documented global scale climate event and its impact on the Old Kingdom in Egypt, the Early Bronze Age civilisations of Greece and Crete, and the Akkadian Empire in Mesopotamia, whose decline has previously been linked to abrupt climate change. Many possible causes have been suggested, including the claim that major glacier-fed rivers changed their course, dramatically affecting the water supply and the reliant agriculture. It has also been suggested that an increasing population level caused problems, there was invasion and conflict, or that climate change caused a drought that large cities could not withstand long-term. “We know that there was a clear shift away from large populations living in megacities,” said Petrie. “But precisely what happened to the Indus Civilisation has remained a mystery. It is unlikely that there was a single cause, but a climate change event would have induced a whole host of knock-on effects. 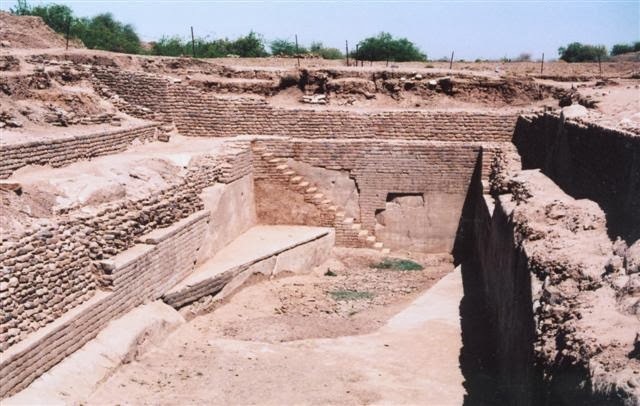 The new data, collected with funding from the Natural Environment Research Council, show a decreased summer monsoon rainfall at the same time that archaeological records and radiocarbon dates suggest the beginning of the Indus de-urbanisation. 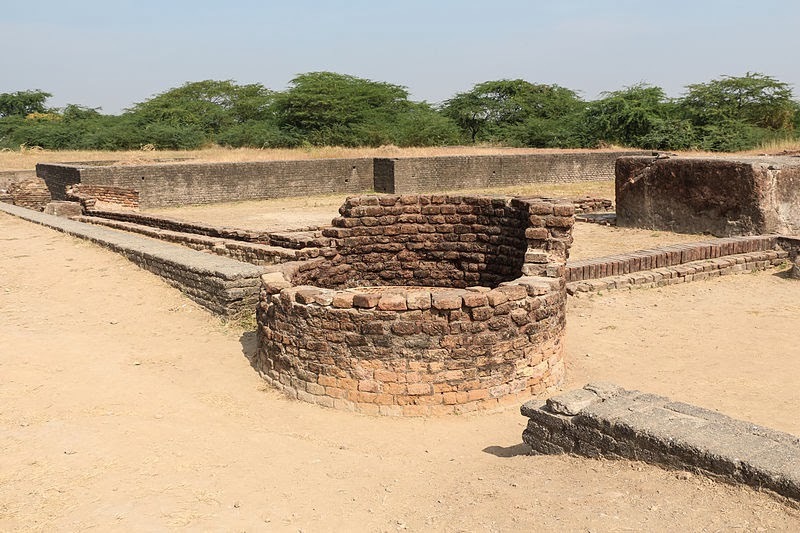 From 6,500 to 5,800 years ago, a deep fresh-water lake existed at Kotla Dahar. The deep lake transformed to a shallow lake after 5,800 years ago, indicating a weakening of the Indian summer monsoon. But an abrupt monsoon weakening occurred 4,100 years ago for 200 years and the lake became ephemeral after this time. Until now, the suggestion that climate change might have had an impact on the Indus Civilisation was based on data showing a lessening of the monsoon in Oman and the Arabian Sea, which are both located at a considerable distance from Indus Civilisation settlements and at least partly affected by different weather systems. Hodell and Dixit used isotope geochemical analysis of shells as a proxy for tracing the climate history of the region. Oxygen exists in two forms – the lighter 16O and a heavier 18O variant. When water evaporates from a closed lake (one that is fed by rainfall and rivers but has no outflow), molecules containing the lighter isotope evaporate at a faster rate than those containing the heavier isotopes; at times of drought, when the evaporation exceeds rainfall, there is a net increase in the ratio of 18O to 16O of the water. Organisms living in the lake record this ratio when they incorporate oxygen into the calcium carbonate (CaCO3) of their shells, and can therefore be used, in conjunction with radiocarbon dating, to reconstruct the climate of the region thousands of years ago. Speculating on the effect lessening rainfall would have had on the Indus Civilisation, Petrie said: “Archaeological records suggest they were masters of many trades. They used elaborate techniques to produce a range of extremely impressive craft products using materials like steatite, carnelian and gold, and this material was widely distributed within South Asia, but also internationally. Each city had substantial fortification walls, civic amenities, craft workshops and possibly also palaces. Houses were arranged on wide main streets and narrow alleyways, and many had their own wells and drainage systems. Water was clearly an integral part of urban planning, and was also essential for supporting the agricultural base. “We estimate that the climate event lasted about 200 years before recovering to the previous conditions, which we still see today, and we believe that the civilisation somehow had to cope with this prolonged period of drought,” said Hodell. The new research is part of a wider joint project led by the University of Cambridge and Banaras Hindu University in India, which has been funded by the British Council UK-India Education and Research Initiative to investigate the archaeology, river systems and climate of north-west India using a combination of archaeology and geoscience. The multidisciplinary project hopes to provide new understanding of the relationships between humans and their environment, and also involves researchers at Imperial College London, the University of Oxford, the Indian Institute of Technology Kanpur and the Uttar Pradesh State Archaeology Department.